Bock bier is the ​rich, complex, malty, low-hop style of lager that we celebrate every year at Bockfest. We are excited to offer over a dozen different bock beers this year at Bockfest Hall. In addition to our featured bock beers, bock beers from over a dozen local breweries will be available as part of the ticketed Bock Beer Experience on Saturday. 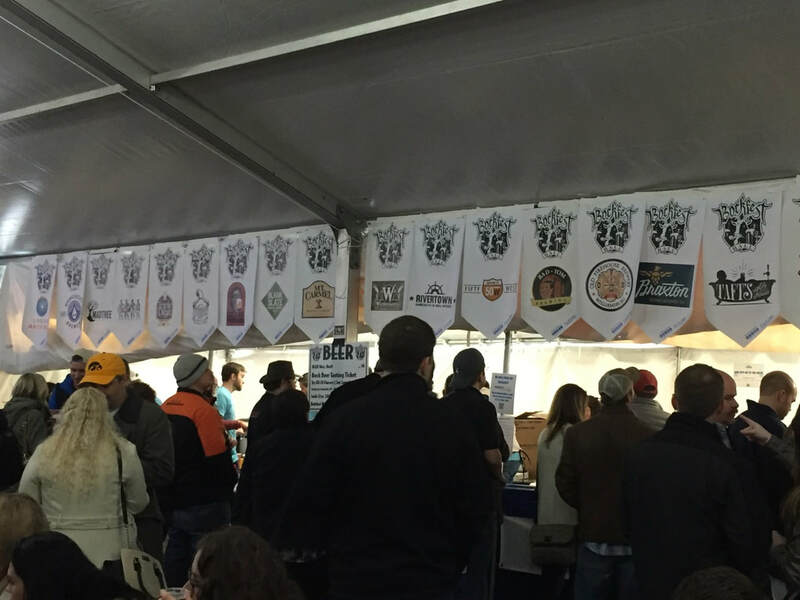 One of the unique Bockfest events is a homebrew competition. Homebrewers from the area and around the country enter Bock beers to compete against each other. One winner gets to brew their recipe at the Moerlein Lager House to become next year’s Schoenling Bock. Trained judges evaluate the beers to pick the winner in each category and the overall winner. How do they do this? What do they look for, and how can YOU learn more about the flavors in different styles of beer? What makes a beer a good beer (or not so good)? Learn the flavors & characteristics that you like in beers – and the ones you don’t. This ticket includes beer and food tastings and will be guided by a certified beer judge. Tickets are $25 and available HERE. A full bar featuring Karrakin products are available in select locations at Bockfest Hall. White and Red wine from Biltmore Wines are available in select locations at Bockfest Hall. On Sunday, the Bock Bloody Mary bar will be open to rejuvenate your spirts. Homemade Bloody Mary Mix from Gramma Debbie's Kitchen and build your own ingredients make this a winner. Water and Pepsi products are available throughout Bockfest Hall. Bock beer is a rich, complex, malty, low-hop style of lager. There are many varieties of bock that can be very different. Understanding the basic styles is a start to understanding what you may like best. Maibock (pronounced my-bock) or Helles (pronounced hell-ess) are paler, and a little more hoppy. Maibocks are traditionally brewed later in spring, but there is typically a good representation or two of this style at some of the Bockfest venues. Doppelbock is maltier, stronger, and typically darker in color. Eisbock is stronger than Doppelbocks and can have a pronounced alcohol taste. Although there are degrees of strength and color, no bock is light. Different Maibocks and Doppelbocks can range in alcohol content from roughly 6.3% to about 12%. By comparison, mass-brewed light beer is typically 3.5% to 4.5%, so even the lightest bocks should be handled with care. Some Eisbocks can have an alcohol content as high as 43%. We want you to remember Bockfest, and the higher alcohol content is often unapparent in a well-brewed Doppelbock. It can be helpful to ask the bartender about the strength of what you're drinking if you want to avoid falling off your stool after two beers. Bock typically has a higher nutritional content and alcohol content than other beers. It is traditionally brewed for celebrations and holidays. Because of the higher nutritional content, bock was used by German monks during Lenten fast - a liquid substitute for food. We celebrate Bockfest on the first weekend of March because of this historic association with Lent. Although it is now almost always a lager, bock was originally an ale that was brewed by German monks in the Fourteenth Century. The word "bock" means goat in German. The beer most likely gets its name from Einbeck, Germany. Einbeck is believed to be the origin of the beer and the name comes from a Bavarian dialectic pronunciation of the town that made it sound like "ein bock," meaning "a billy goat." Although this is the scholarly, accepted origin of the name of the beer, we prefer to believe a more colorful story about the beer's name. According to ancient tale, the name came from a legendary Renaissance-era drinking contest between two beer-brewing monks. The bock beer's high alcohol content is said to have caused the loser of this competition to fall over, which he blamed on an errant goat that had entered the tavern. The winner laughed at his fallen friend and told him that the only goat that knocked him down was in the beer. Regardless of whether this story is true, countless Bockfest attendees can testify to encountering that goat.